I hope no one minds me adding to this existing thread, but it seemed like the efficient thing to do. 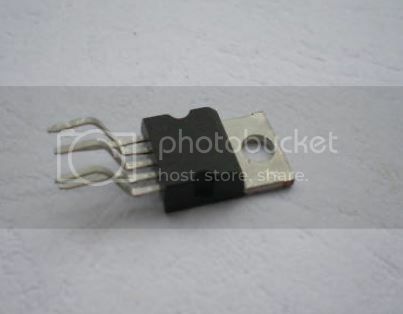 Are the following pieces also a type of IC chip? The value in IC chips is found inside of them. The actual value varies from IC to IC. Currently we are paying $5 per pound because it has been determined that it is an average value of all those varying IC chips when mixed together. Considering we price the ICs on an average value, that means that the ceramic and windowed ones (eproms) pay the the same as non-windowed IC chips. No, we do not buy those as IC chips. They are actually known as PNP switching transistors. In fact we do not have a category for those as we have not found them to be of a value (to us anyway). At least now I know what they are. Those things keep popping up when I search IC chips but I had my doubts. For inquiring minds, I am saving them anyway and hope to develop an efficient way to break them apart. The metal part of them are either copper or tinned copper so they would add up over time and possibly worth the effort of removing enough of the plastic material to get #2 copper price out of them. I think he means like this, I just can't see a easy way to harvest them. In your picture those are all IC's except for the chrome boxed ones. Those are crystals/oscillators and do not have a value (to us that is). Older IC chips can be pulled out of their sockets, but for the others, you will need to find a way to de-solder them. I'm thinking a sand bath, but don't know if the temperature of the sand bath will be able to get hot enough to melt the solder, and the sand bath may also de-solder components that you do not want removed. I just slice down the sides of them with a razor knife and pluck them right off. I'm always looking for a new/better idea tough. The smaller ones with fine wires/solder connections I use the razor knife method, for the older ones with pretty beefy connections I use a cordless dremel with a cut off wheel. I cut one side the rock em back and fourth til the other side breaks off.